One of the best things about this time of year is all of the festive decorations that we see all around us - pretty candles & lights, beautiful decorations, and lots & lots of ornaments! We think they are even more special if they are handmade. Do you have a pretty ornament that you sewed this year, are you working on one now, or do you have an idea for one that you just haven't been motivated enough to start yet? We'd love to see what you've been working on, and maybe provide a little motivation for you to get one done, so we're having a "Handmade Holiday Ornament" contest! 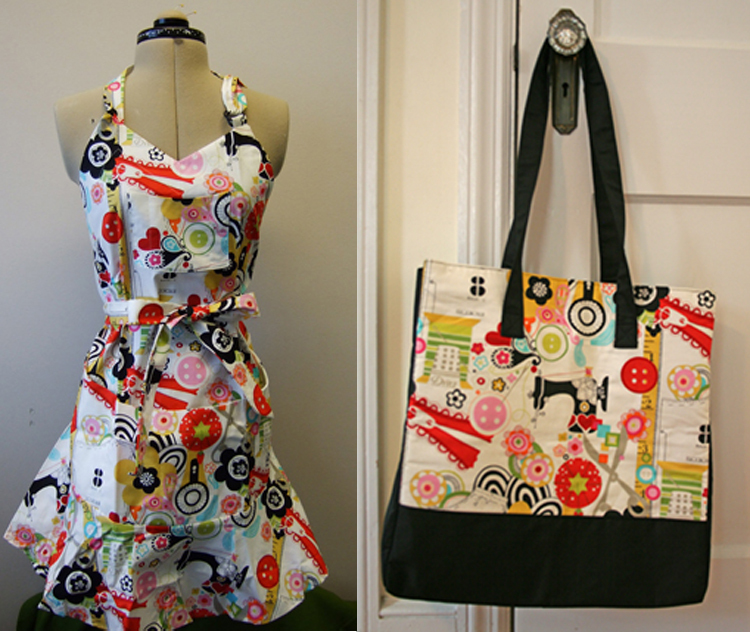 An adorable apron and matching tote! Good luck everyone, we can't wait to see your creations! Please email rebecca@arrowcabinets.com if you have any questions! I am very excited and encouraged to watching your article. This article is very reliable & incredible. Heartily thanks for your giving out information.